When you're heading out into the wild with nothing more than a backpack to carry all of your supplies and gear, packing light and compact is your number one priority. And when mother nature is serving as your outhouse, a shovel has to be at the top of your packing list—preferably one as light and slim as the GG Camp Shovel which looks no bigger than a shoe horn. 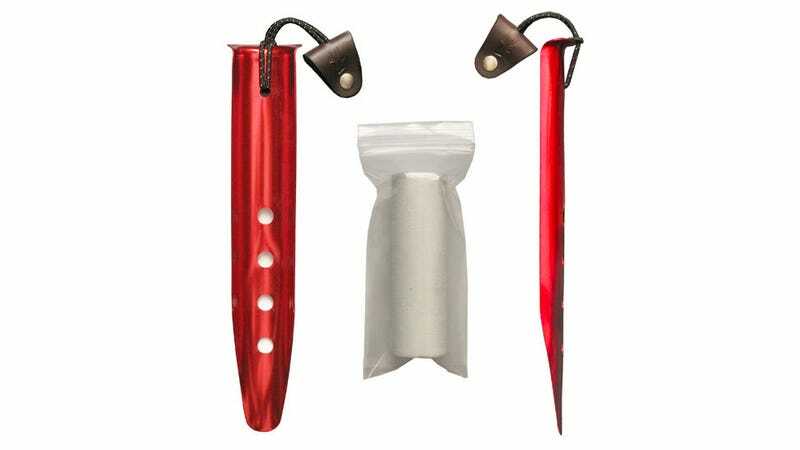 Made from lightweight modified aluminum snow stakes, the GG camp shovel won't snap at the wrong time like a plastic scoop. And when nature urgently calls, you won't have to fiddle with a folding contraption to dig yourself an emergency latrine.